Vitamins are an essential ingredient in your quest to get that perfect glowing skin and many more health benefits. Vitamins occur naturally in food. These are needed in very small amounts for various bodily functions such as energy production and making red blood cells. Vitamin B is a group of water soluble vitamins which play an important role in cell metabolism. B vitamins were earlier thought to be just a single vitamin. Later research found that these are chemically distinct vitamins that co-exist in the same foods. All B vitamins help the body to convert carbohydrates into fuel (glucose) which is required to produce energy. Vitamin B is needed for healthy hair, skin, eyes and liver. It also helps the nervous system to work properly and is needed for proper functioning of the brain. Vitamin B1, also called thiamine is sometimes called an “anti-stress” vitamin. It helps to strengthen the immune system and improves the body’s ability to withstand stressful conditions. It is named B1 because it was the first Vitamin to be discovered. Thiamine is found in both plant and animal sources and plays a crucial role in certain metabolic reactions. 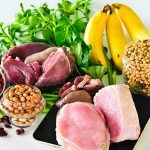 Deficiency in Vitamin B1 can lead to several health conditions like Beriberi, Cataracts, Alzheimer’s disease, and even heart failure in some cases. The recommended dietary allowance for thiamine is 1.2 mg for men and 1 mg for women. Fish contain a good amount of healthy fats and are a good source of Vitamin B1. 100 grams of Pompano fish serving contains 0.67mg of thiamine. Tuna fish contains the second highest amount of thiamine out of all the fishes with 0.5 mg per 100 grams. Pistachios make a great snack food and contain a good source of thiamine and other important minerals. 100 grams of pistachios contain 0.87mg of thiamine. Sesame butter, also known as Tahini is not just a good source of iron and zinc but also contains a good amount of thiamine. 100 grams of sesame butter contains 1.6mg of thiamine. Black beans, navy beans and pinto beans all have high levels of vitamin B1. They also contain heart healthy proteins which are needed to maintain energy and good health. A small bowl of beans will give majority of the recommended daily amount of Vitamin B1. Vitamin B2 or Riboflavin is an essential vitamin. It is required for proper energy metabolism and a wide variety of cellular processes. It helps to process nutrients in the cardiovascular system through aerobic energy production and keeps the cells in good health. This vitamin even improves vision and skin health. Deficiency in riboflavin can lead to cracking and reddening of skin and inflammation of mouth, mouth ulcer, sore throat and even anemia. The recommended Dietary Allowance for Vitamin B12 is 1.3 mg for men and 1 mg for women. Carrots are one of the most popular vegetables. The best part about the benefit of carrots is that just one cup of carrots will provide you with 5% of the daily recommended quantity of vitamin B2. Eat baby carrots as a snack or add them to your salad for extra taste as well as nutrients. While enjoying a sandwich for breakfast, add a slice of tasty cheese for an unexpected boost in several essential vitamins and minerals. Despite being a high cholesterol food, cheese is a good source of vitamin B2. Cheese provides the highest amount of Vitamin B2 with 0.57 mg per 100 grams serving. Brie, limburger, romano, caraway cheese are other high Vitamin B2 foods. It is also a good source of calcium and Vitamin D.
Both cow and goat milk are significant sources of Vitamin B2. They are also a good source of Vitamin B complex along with calcium and other minerals. Almonds are nuts that contain high amount of riboflavin. Almonds are also a great source of Vitamin E, calcium, potassium and copper. Health benefit of almonds comes from the fact that they provide 1.01mmg of riboflavin per 100 grams or 00.28grams per ounce. Vitamin B3 or niacin is an essential nutrient and is responsible for various body functions. Niacin addresses a number of health issues like heart attack, high cholesterol and other cardiovascular diseases. Deficiency in Niacin can lead to dermatitis, dementia, amnesia, fatigue, restlessness and depression. An overdose of niacin can lead to skin rashes, dry skin and various digestive maladies and overdose can also lead to liver damage. The RDA for niacin is 16 mg per day for men and 14 mg per day for women. Eggs are not just a good source of proteins and minerals but also contain high level of niacin. A large egg contains 7 percent of the daily amount of Vitamin B3 that we need. Beets are a great source for antioxidants and detox support. This makes them one of the best foods for liver. Beets are also known as one of the best vegan sources of niacin. 100 grams of beet contains 0.334mg of niacin. Celery is commonly regarded as a food to ward off gall stones but little is known of its high Vitamin B3 content. Just one cup of raw celery will gives approximately 34mcg of Vitamin B which accounts for 2% of our daily Vitamin B need. Vitamin B 5, also known as pantothenic acid is necessary for individual health. Vitamin B5 turns carbohydrates into energy processing food. It supports adrenal glands helping humans to respond to high stress and continual stress factors. Vitamin B5 deficiency can lead to fatigue and weakness as well as tingling sensation in the limb. It is found in different sources leading to nutritional experts naming it as “universal element”. The RDA of Vitamin B5 for men is 1.3 mg and 1 mg for women. This green vegetable contains a very high amount of pantothenic acid. Try to eat lightly steamed broccoli as they stand for a better chance in getting most of the nutrients originally packed in the food. Boiling broccoli causes most of the nutrient to leach out in the water. This naturally occurring food is a good source of Vitamin B5 and other important nutrients. Cooked mushrooms provide 3.6 mg per 100 grams serving. Avoid eating wild mushrooms as they contain poisonous substances which can cause harm to health. Whey powder is a common addition to breads. Whey powder smoothies are mostly used by gym goers and body builders for its high nutrient content. It is often used in baked goods and processed cheese. 100 grams of whey provides 5.6mg of Vitamin B5 which accounts for 5% of our daily Vitamin B5 content. Vitamin B6, known as pyridoxine is an essential nutrient for a number of reasons. It plays a vital role in a number of chemical reactions that take place in the body. It helps in the formation of red blood cells which carry oxygen around the body and is essential to metabolize foods into energy. Conversely, too much consumption of Vitamin B6 can lead to nerve damage in the arms and legs. The RDA of Vitamin B6 is 400 mcg and 400 mcg for women. Crude rice and wheat bran are foods with the highest amount of Vitamin B6. You can also eat bread or brown rice which contains moderate amount of bran in it. Rice bran contains the most Vitamin B6 with 4.07 mg per 100 grams. Wheat bran contains 1.3 mg per 100 grams. Raw garlic provides a host of health benefits and is a great source of vitamin B6. Raw garlic makes a good condiment and can also be used as a salad dressing. The garlic benefit is that in 100 grams of raw garlic provides 1.235mg of Vitamin B6 and 0.04 mg per clove. Molasses and sorghum syrup contains high levels of nutrients and is a good substitute for refined sugar syrup. Molasses are high in magnesium and provides 0.67 mg per cup and 0.14mg per teaspoon. Vitamin B7 is also known as biotin. It helps the body to process fats and sugars and forms a critical process in the fat production in the body. Since biotin is involved in the creation of building blocks for body function at a cellular level, it’s important to have a sufficient supply of this nutritional element. Biotin is particularly necessary for pregnant women. Adults over 18 years of age and pregnant women require 30 mcg of Vitamin B7 a day to meet the daily need. Lactating women need 35mcg of biotin per day. Major deficiency in Vitamin B7 can break down the cell division and can even lead to cancer in extreme cases. Vitamin B7 is found in several healthy foods and has a number of health benefits. Brewer’s yeast contains a high level of vitamin b7 and is revealed to be the richest source of biotin. Available in powder and flakes forms, yeast can be added to cereals, milkshakes and baked dishes. Besides biotin, yeast also contains chromium which is essential for patients suffering from diabetes. Egg yolks are the second richest source of biotin because egg white interferes with the absorption of biotin. While preparing egg yolk, do not overcook as this can destroy the essential nutrients and vitamins in it. Do not consume uncooked egg yolks as they contain salmonella which can be harmful. Not just biotin, eggs also contain protein essential for the body but consuming a lot of egg is not advisable. This green plant is one of the top producers of biotin. It can be used in a salad dressing and contains healthy antioxidants that help to maintain health and wellbeing. It contains 0.406mg biotin per 100 grams. Folate, also known as Vitamin B9 is necessary for proper health and metabolism of human body. 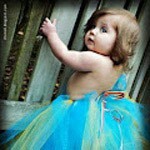 It prevents congenital birth defects. While folate is mostly taken as a dietary supplement, many foods serve as a healthy and natural source of folate. Folate occurs naturally in foods and can be synthesized by our body. Deficiency in Vitamin B9 can lead to a number of diseases like abnormal bleeding, anaemia, fatigue, diarrhoea, hair loss and so on. The recommended dietary allowance for Vitamin B9 is 400 mcg for adult men and women. Green leafy vegetables are the best source of folic acid. These are also popular as foods rich in vitamin B of the other types too. Consume green vegetables like spinach, collard greens, lettuce, turnip greens to get sufficient amount of vitamin B9. Just one plate of green leafy vegetable per day will provide you with your daily need of folic acid. This wonder vegetable is the most nutrient dense food and is the richest food containing folic acid. One cup of cooked asparagus will provide you with 262 mcg of folate which accounts for 62% of our daily folate requirement. Asparagus is also rich in other nutrients like Vitamin K. Vitamin A, Vitamin C and manganese. This tasty treat holds up to 90 mcg of folate per cup which provides 22% of our daily requirement. Avocado is also rich in fatty acids, dietary fiber and Vitamin K. Add it to your salad and sandwich for that extra healthy diet. Vitamin B12 or cobalamin is the largest and most complex vitamin currently known to a man. The main role of Vitamin B12 is to form red blood cells and aid in the blood circulation in the body. Smokers, pregnant ladies, anemic and elderly people require more than the recommended amount. 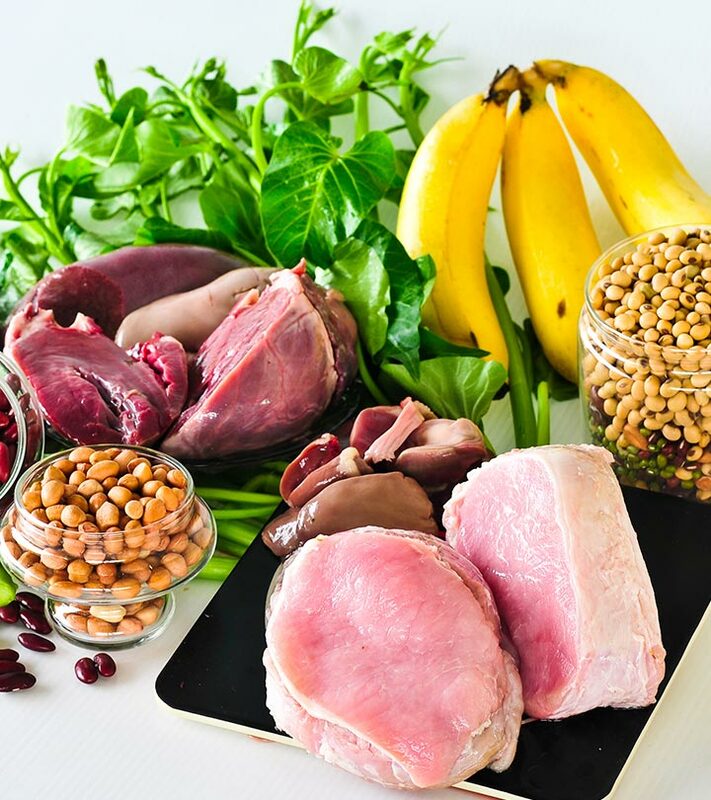 Vitamin B 12 is mainly found in animal sources which can be a complicating factor for vegetarian who are mainly at a risk for developing vitamin B12 deficiency. A hundred grams of liver contains more than 30mcg of vitamin B12. Liver is not just beneficial for the amount of Vitamin B12 it yields, but is a store house of other nutrients too. It is packed with vitamins and minerals which increase energy, libido, muscle growth, brain function and power. Turkey is a super food which contains 1.5 plus micrograms per 100 grams serving. This food is naturally low in fat and contains 1 gram of fat per ounce of flesh eaten. Turkey contains nutrients which controls cholesterol level and protects against cancer and heart disease. Poultry is often praised as a healthier alternative to red meat. Chicken is a good source of essential vitamins and minerals but lacks fat and calories that is often associated with red meat. 100 grams of cooked chicken provides the body with 8% of recommended amount of Vitamin B 12. Chicken also contains nutrients like protein, selenium and Vitamin B3. These foods will help you in adequate consumption of Vitamin B and will benefit your health in the long run.